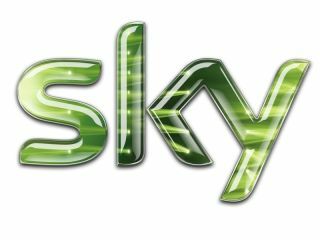 Sky has made major changes to its channel order with HD channels swapping onto their SD slots for subscribers to the HD package and the eagerly anticipated Sky Atlantic given a high profile spot. The Sky EPG has been given a major overhaul, including an HD channel swap and moves for some of the most popular channels. The HD channel swap will mean that Sky+HD subscribers will see HD channels on the key early numbers rather than the SD versions. Sky is hoping that the changes will make it easier for its viewers to find programmes, and 'deliver benefits to customers and broadcasters alike'. So if you have Sky+HD, things like Sky 1 HD will be on 106 – and a rebranded Sky Living HD will be available on 107 (or SD versions). Sky Atlantic will launch on channel 108. "This change reflects the increasing demand from those customers to watch their favourite TV in HD," explains Sky. "Those customers not subscribing to Sky+HD will be unaffected by this change." Interestingly, the traditional terrestrial broadcasters will not have the HD switch – so BBC1 will stay SD rather than move to the BBC One HD channel which is further down the EPG. ITV, Channel 4 and Five also remain unaffected. Rob Webster, Sky's Commercial Director, comments: "We want our customers to be able to discover and enjoy the content they are most passionate about. "That's why we've worked with a range of partner channels to ensure that customers can find their favourite pay TV channels and programming as easily as possible. "And with high definition viewing now demanded as standard, this has also meant swapping HD channels into the EPG numbers that our customers know best. "The combination of high quality content, an intuitive, easy-to-use EPG, and innovative services like Sky+HD and Sky Anytime+, means our customers benefit from real choice, control and flexibility of viewing, whether linear or on-demand."